Home » Uncategorized » Is Fasting Healthy For You or Another Fad Diet? This entry was posted in Uncategorized on September 24, 2018 by dk. Typically, our bodies are fueled by glucose, which is a simple sugar. 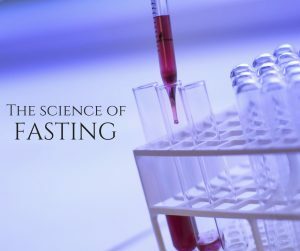 However, through diet restriction or intermittent fasting, that energy source gradually becomes unavailable. As a result, the body begins to convert its stored fat into fatty acids that are easily absorbed by the bloodstream. Fatty acids produce molecules called ketones. (This may ring a bell if you are familiar with the ketogenic diet.) After 8 – 12 hours of fasting, our metabolism shifts to replace glucose with ketones as our new source of energy. 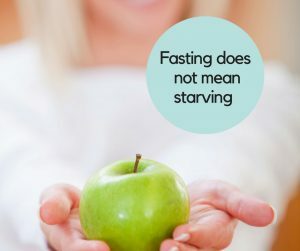 If you think you are thinking about fasting but have never tried it before, I invite you to please reach out to me so we can discuss which options might be best for you. Please feel free to book an appointment with us by calling 905-852-7969 or emailing [email protected] and we can help you get back on track with better weight management and a healthier, longer, and happier life! ← Organic Food – Is it Worth the Cost?